I promised this post a while back, but work has progressed on fixing the Camaro after our axle failure. 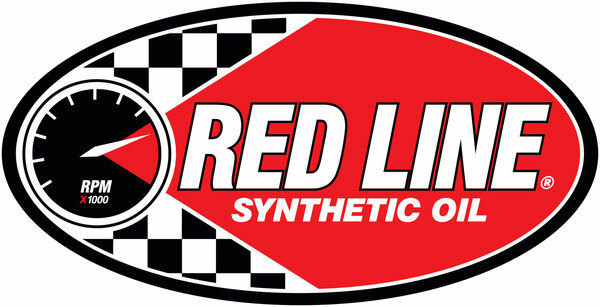 New parts are on the way and exciting changes are planned! Back to the topic at hand though, and that is the SCCA’s CAM Class. Called “Classic American Muscle”, it was intended to attract the same sort of audience that Good Guys has been getting at their events. 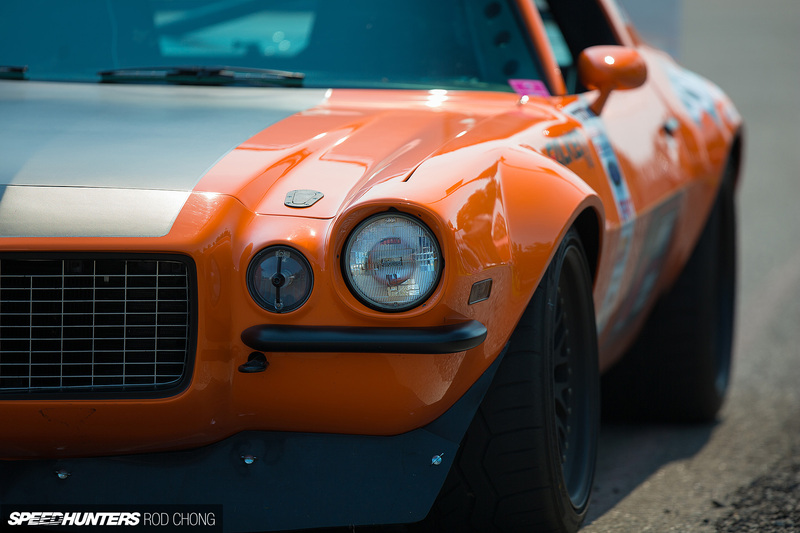 Cars like Brian Hobaugh’s Camaro. 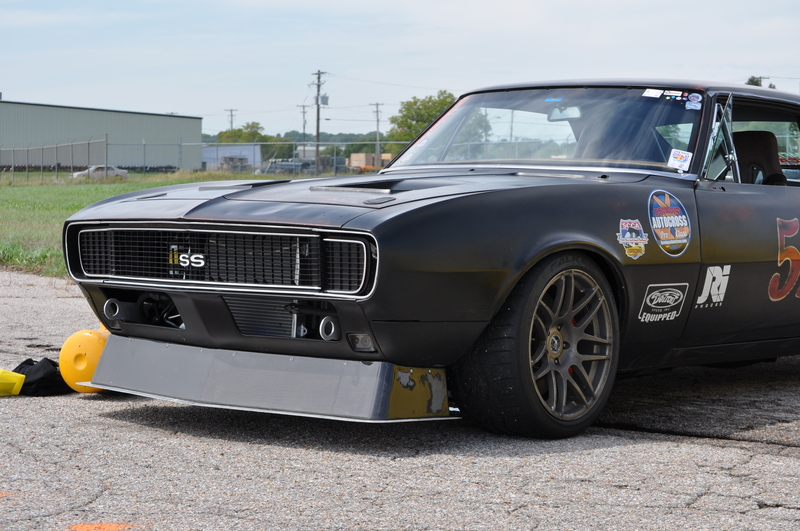 A street legal car built to autocross in the SCCA’s CP class, but most often found at Good Guy’s autocrosses or the Optima Ultimate Street Car Challenge. 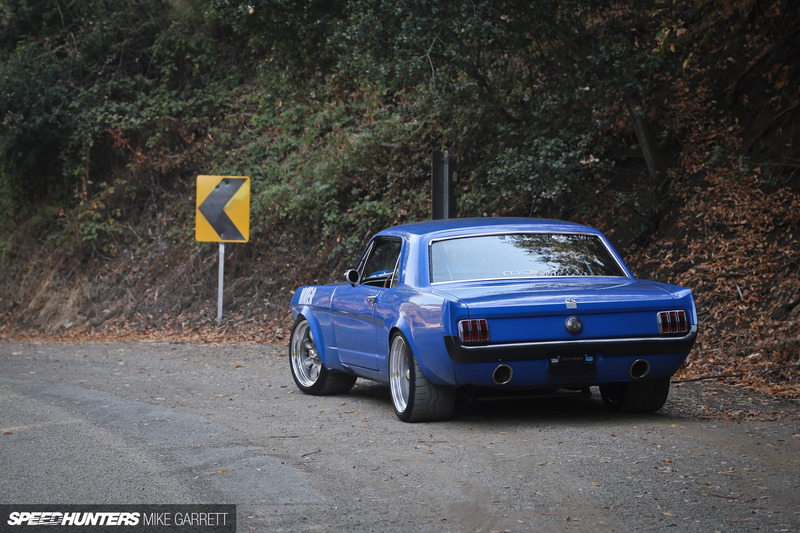 Or Mike Maier’s ’66 Mustang. These cars are fantastic performers and the attention to detail is amazing. The SCCA tried to capture some of this audience with CAM, a largely unrestricted rule set which was broken into 3 different classes for Nationals, a positive change in my opinion. 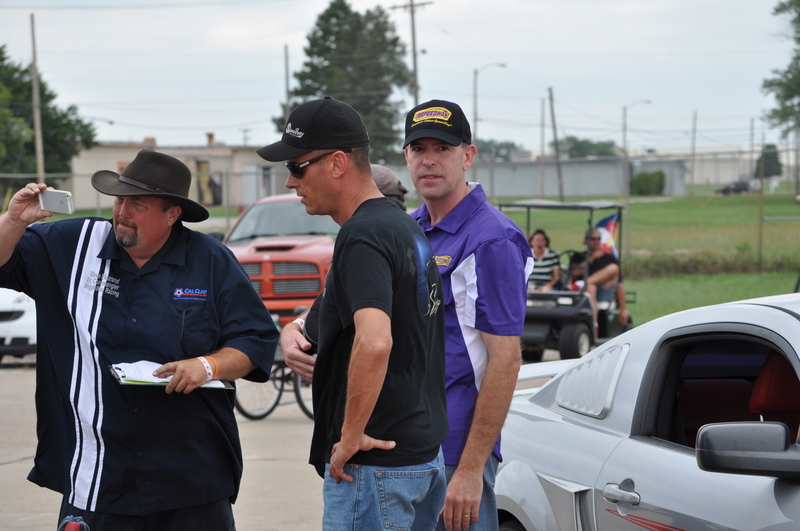 At Nationals, the SCCA had a CAM Class Invitational to try and draw in some drivers and cars to bring attention to the class. Did they succeed? Yes and no. 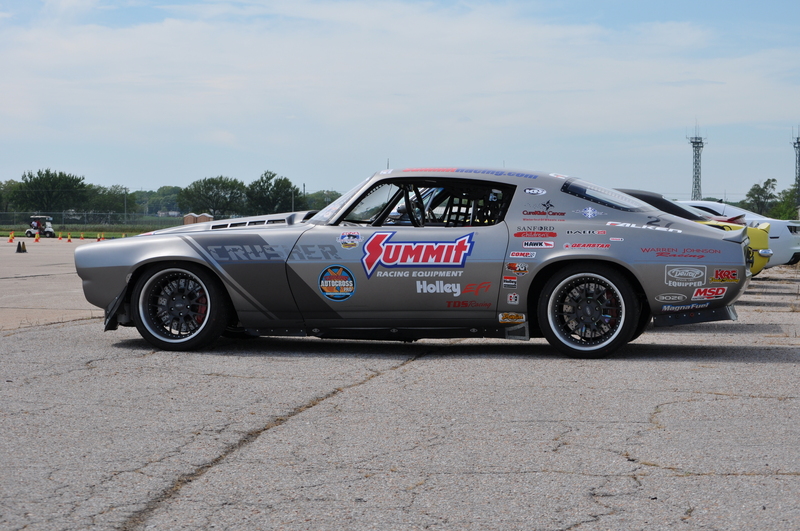 There were some amazing cars, like Mike Dusold’s twin-turbo LS7 Camaro. 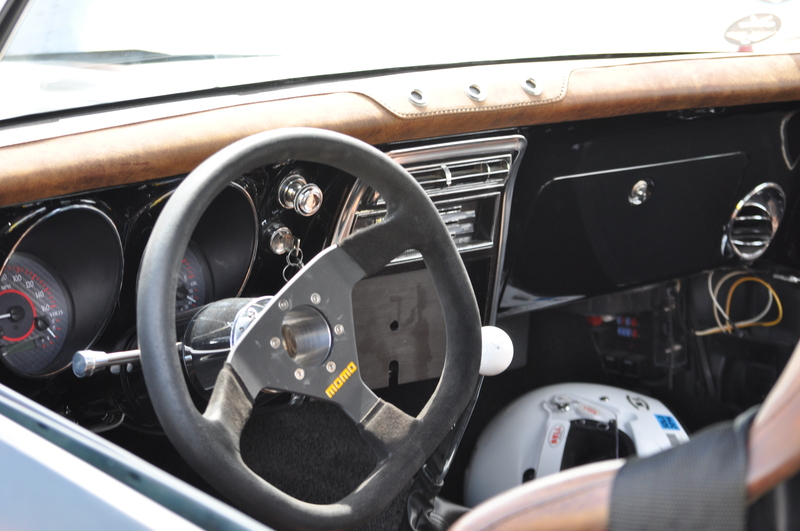 The level of fab work in Mike’s car was amazing and it was a top performer on the track. 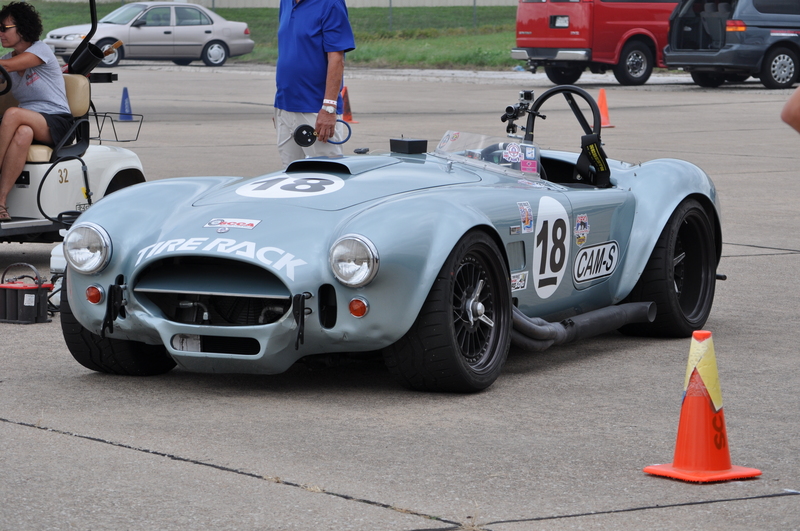 This was an original Cobra, with a decidedly non-original powertrain. They also tried to attract some celebrities to drive. Robby Unser showed up and drove the Speedway Chevy Nova, ending up in second spot in the CAM-T class behind Mike Dusold’s Camaro. I worked a corner with Robby and he was a really cool guy. I haven’t met too many professional drivers, but my hat is off to him for being down to earth. He even offered (and gave!) his personal cell number and e-mail address to a guy on our corner to help him out with tips to run at Pike’s Peak! The CAM invitational was really a publicity stunt though. It was setup in a Pro-Solo format and short of 2 or 3 of the car / driver combos it was for show more than anything. The competition during the week was a bit better, but the car count was down from the Invitational, my assumption is that the SCCA probably greased some palms to get people to show up and when they were done with their bit they bailed. Credit though to the guys who stayed (like Mike Dusold and Robby Unser) for seeing what Nationals is really like. From talking to both of these guys they had a lot of fun and were glad to be there! For CAM to have a future I really think the SCCA needs to decide what it wants the class to be. I seriously doubt that attracting the Good Guy’s crowd to compete seriously at an SCCA style event will be a recipe for success. Those events are most often bundled with car shows and feature nearly unlimited runs for the competitors. The SCCA’s limited track time, no car show, and emphasis on rules may not sit well with most of those used to the other series. Would I ever consider CAM in my ’67 Mustang? Maybe, but I’d have to decide to do it for fun and not to win. There-in lies the problem, with an open rule book, which is needed to attract the really cool cars and cars that people would want to build, you also need to have an open pocket book. At least for me, that’s not something I see happening. That said, I’m happy to see the SCCA has created the class. At the bare minimum it gives people with Pro-Touring style cars somewhere to go play, and that can only be considered a good thing!